The Children’s Museum of Indianapolis, 3000 N. Meridian St., will host “National Geographic Sacred Journeys,” an exhibit recreating places, spaces and events of various faith traditions around the world, starting on Aug. 29 and lasting through Feb. 21, 2016. The Western Wall of the Second Jewish Temple in Jerusalem. The Church of the Holy Sepulchre, site of Jesus’ crucifixion in Jerusalem. The Grand Mosque in Mecca, Saudi Arabia. Tepeyac Hill and the Basilica of Our Lady of Guadalupe in Mexico City. Allahabad and Sangam at the confluence of three rivers sacred to Hindus at the Ganges River in India. Bodh Gaya, birthplace of Buddhism. Caves in the bluffs along the Dead Sea in Qumran, Israel, where the Dead Sea Scrolls were discovered, and more. Among the artifacts featured are fragments of the Dead Sea scrolls from Qumran, a large rock from the Western Wall in Jerusalem, a replica of the Shroud of Turin, and more. The exhibit is included with general admission. 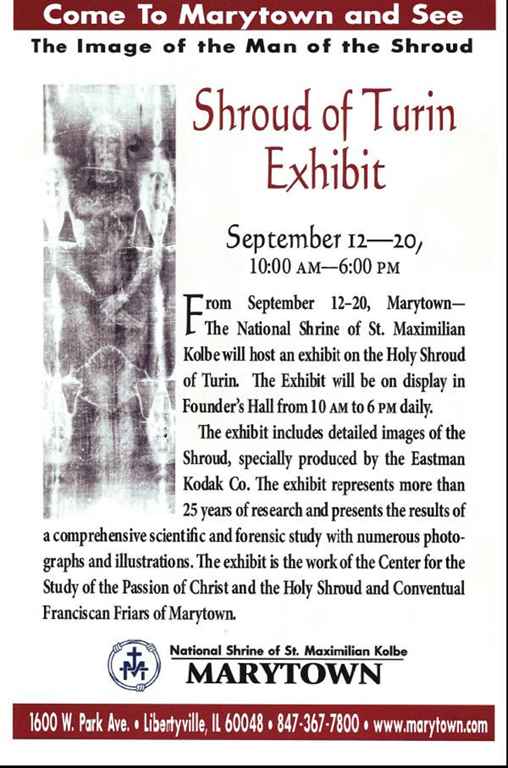 Coinciding with the exhibit will be two lectures by Shroud of Turin expert Barrie Schwortz. 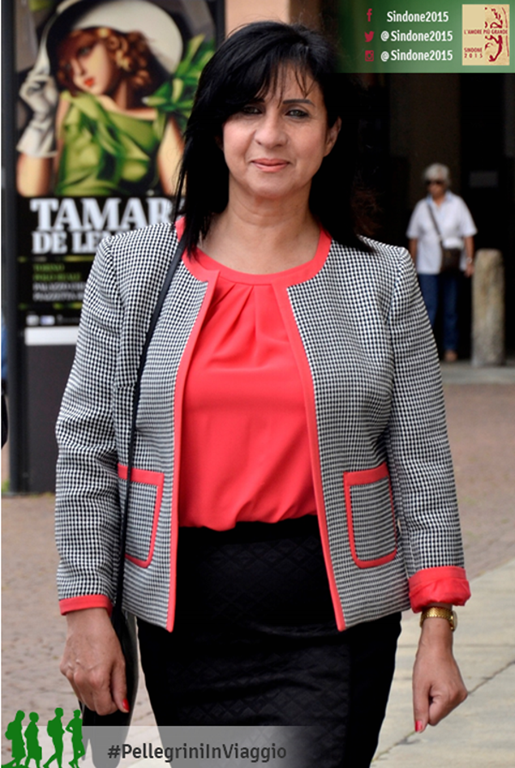 The lectures will take place at the museum on Sept. 19. The 11 a.m. lecture is recommended for ages 10 and older. A second lecture at 2 p.m. will last longer with scientific information geared toward adults. The lectures are free with museum admission, but require advance registration through The Children’s Museum website at www.childrensmuseum.org. 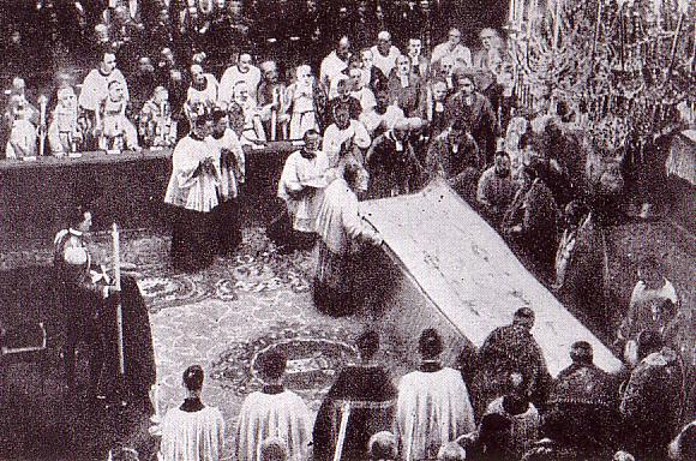 Palestinian Vera George Mousa Baboun (Arabic: فيرا جورج موسى بابون), a Roman Catholic, a member of the Fatah party and the first woman to serve as mayor of Bethlehem, pictured here while visiting the Shroud Exposition in Turin.